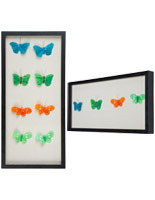 These Shadow Box Cabinets Are Stylish Holders For 3-Dimensional Displays! 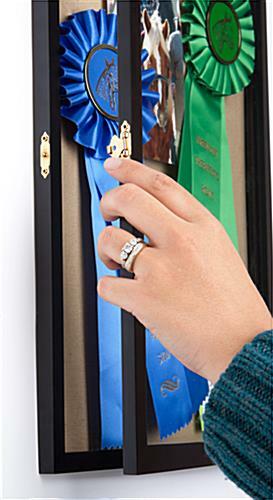 These Black Wood Frame Cases Wall Mount In Either Orientation! Glass front panel swings open to access contents. 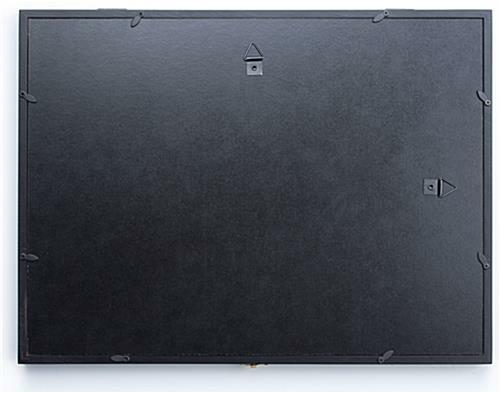 Black wood frame provides high contrast against neutral fabric backers. 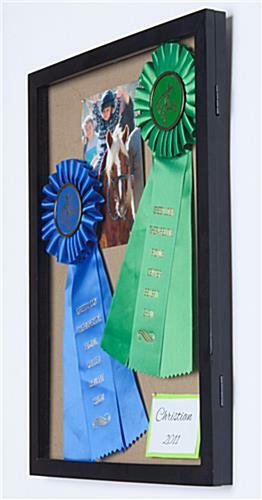 Versatile display mounts in landscape or portrait orientations. 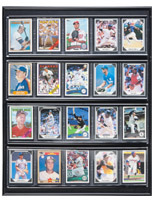 These shadow box cabinets have a glass front door with a black wood frame that swings open to allow access to the 3/4" deep cabinet. 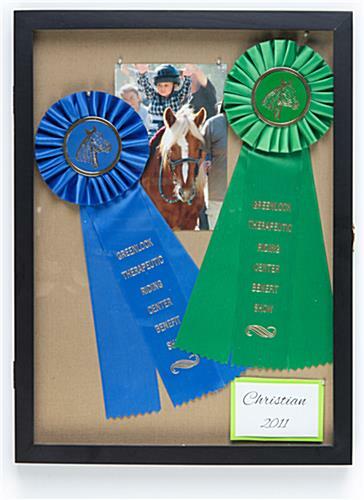 Each of these memorabilia displays is 10-1/2" x 14-3/4" and has both a fixed neutral colored hard backer as well as a removable white cotton sheeting backdrop. 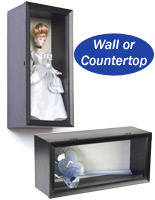 These collectible enclosures, black shadow box cabinets come with pre-attached mounting hooks that will hang the units in portrait or landscape orientations. 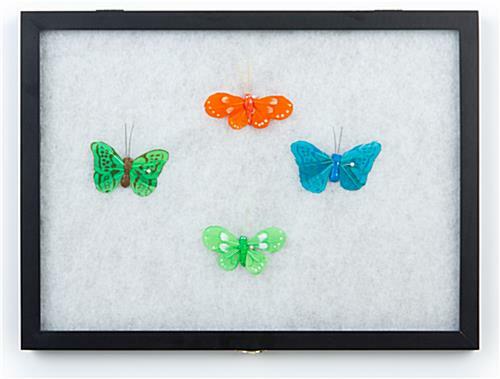 Each of these glass curio cases includes with 8 pushpins that can be used to anchor display items inside the enclosures. 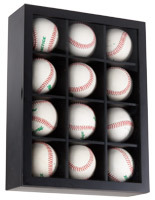 These 3/4" deep shadow box cabinets, also known as 3/D memento holders, are perfect for creating striking collections of pictures, awards, artwork, memorabilia and/or collectibles many different environments.